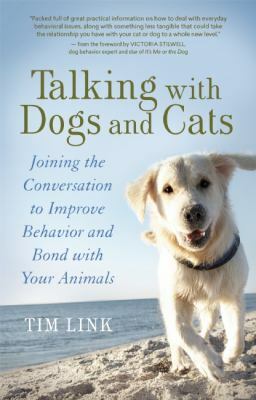 I don’t know what I expected when I started reading Talking with Dogs and Cats, but it wasn’t what I got. I’ve read quite a few of the animal behavior books we have in the library, and this one is unique. It was actually pretty gratifying to know that, instinctively, I’ve been doing a lot of things the author, Tim Link, suggests. For example, he encourages us to talk to our pets – not just a lot of orders and instructions, but greet them in the morning and when you come home from work. When they go to the window and bark madly, walk over and try to see what set them off. Acknowledge the squirrel or UPS man, and thank them for bringing it to your attention. Tell them when to stop and reward them for stopping. Pets need to feel that they have a job, and that job may be watching out that window and letting you know what’s going on in the wide world. Yelling at them to be quiet is likely to be ineffective, and, actually, counterproductive. When you have multiple pets, it’s hard not to have a favorite, but you still need to spend time and pay focused attention to the others. You’ll be rewarded with a better understanding of the animal and a better relationship. I can attest to this. Since reading the book, I’ve made a point of communing with the dog who is not my favorite – an dachshund whose single-minded dedication to finding any edible object and barking about it, does not usually make one want to spend discretionary time with him. His sister, on the other hand, is incredibly loveable and has many interests other than seeking out and swallowing things before she’s quite clear about what they are. Anyway, Mini Mutt and I have been having one-on-one conversations and I really feel that we have been connecting. When we run out of things to talk about, we sit companionably together. It’s very nice to have these calm times to balance other times where we’re both shouting in our own ways. You may not agree with every bit of advice in this book, but any book that causes you to look at things from another’s point of view is always valuable. 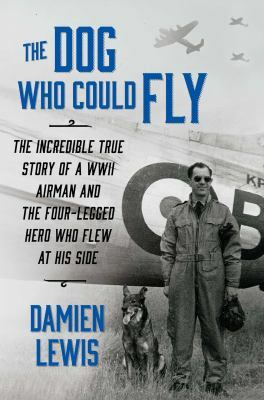 The Dog Who Could Fly is the true account of a German shepherd who was adopted by the Royal Air Force during World War II, joined in flight missions, and survived everything from crash-landings to parachute bailouts – ultimately saving the life of his owner and dearest friend. Scott and Maggie are new partners in the LAPD but they have a lot more than that in common – both are a mess after barely surviving brutal attacks that left their former partners dead, both suffer from severe PTSD and both are close to unfit for duty. 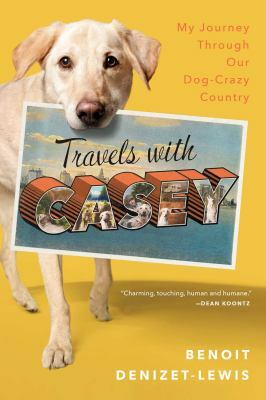 The fact that Scott is a human and Maggie is a dog does not change that fact that they are just what the other needs in Suspect by Robert Crais. Officer Scott James has just returned to work, still physically recovering from gunshot wounds that have forced him to give up his goal of joining the elite SWAT squad. He is haunted by memories of the night of the attack, when masked gunmen launched a surprise attack on a passing car, then turned on Scott and his partner when they tried to stop them. The cries of his dying partner calling for him as he lay helpless as his own life nearly bled out, rerun in his dreams every night. 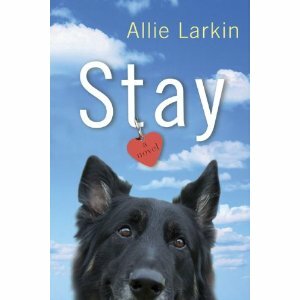 Desperate to find justice for his partner, he refuses a medical discharge and finds a position in the K-9 Unit where, he believes, he won’t have to worry letting down a partner again. Maggie has survived three tours of Iran and Afghanistan, saving hundreds of grunts with her IED sniffing talent until a suicide bomber kills her handler and snipers nearly kill her when she refuses to stop guarding his body; the Marines are only able to drag her away by throwing a jacket over her and manhandling her into the rescuing helicopter. No longer able to serve in the military and wary and suspicious of everyone, the LAPD may be Maggie’s last chance. 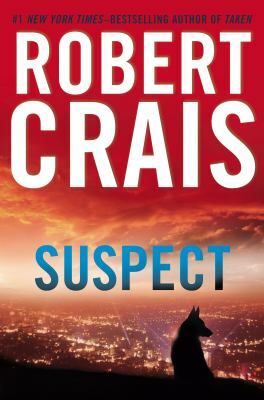 Award-winning author Robert Crais (best known for his Elvis Cole mysteries) is a master storyteller, showing how these two damaged beings fight back and help and learn from each other using language that is lean yet evocative – you can feel the heat of Los Angeles, the terror of Scott’s panic attacks, Maggie’s joy as she accepts Scott. The information about the training and deployment of police and military dogs is fascinating but never overwhelms the story and the final chapters, where Scott and Maggie work together to bring Scott’s attacker’s to justice, are tense and action-packed. New Format Now Available at the Davenport Library! Determined to provide only the best for our patrons, we search far and wide for products and services that will make your life easier, smarter, better. In light of these goals, the Davenport Public Library is pleased to announce the addition of a new format now available for check-out! Introducing – DogAways™! DogAways™ is a fun and unique program that allows you to check out a dog. Go for a walk! Snuggle on the sofa while you watch a DVD! Chase a ball together! 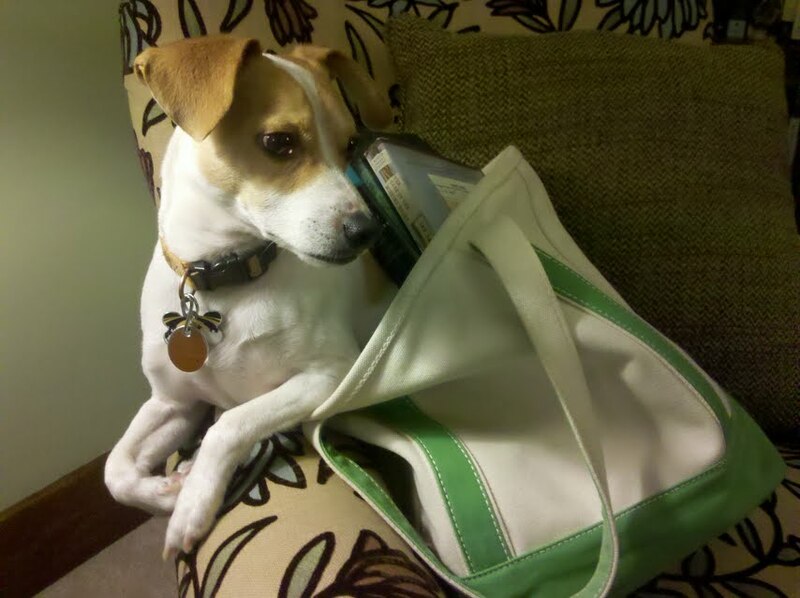 DogAways™ dogs will improve your health, increase your finances and help with the laundry. Dogs come in a variety of sizes – small (dachshunds, toy poodles), medium (Jack Russell terriers, beagles) and large (labradors, Great Danes) – and can be reserved just like a book! 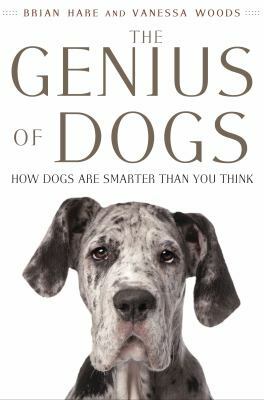 Each dog is trained to be smarter than you. Health certificates and medical records are on file and available for viewing. Each dog comes with its own Care Pack containing dog care tips, leash, brush, tennis ball or frisbee, 3-day supply of food, treats and multiple poop bags. Dogs are trained to bite you if you mistreat them; these dogs are picky about care so you may wish to have your doctor’s or emergency care provider’s phone number handy (but don’t expect any sympathy from us if you do get bitten). DogAways™ check out for three days with one renewal. Overdue fees for the late return of a dog is $30 a day, plus the dog will bite you so don’t be late! The library is not responsible for any damages or personal injuries. Haha! 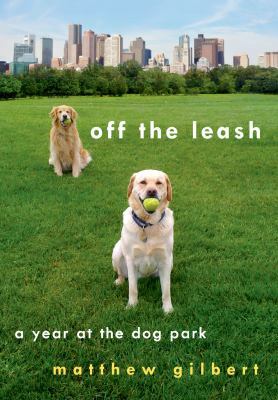 Of course we’re not going to be lending out dogs from the library! April Fool! However, it’s not completely crazy – Yale Law Library lends out Monty, a “certified library therapy” dog to aid in stress reduction during finals week (Monty can be checked out for 30 minute sessions) Therapy dogs have been used at other universities including Tufts, Oberlin College and UC Santa Barbara and the role of pets as stress-reducing has long been acknowledged. After all, anyone can use a warm, furry, non-judgemental friend! On his way to dinner with his wife Emily where he intends to ask her for a divorce, Sandy Portman – wealthy, sophisticated, self-centered – is hit by a car and dies. Furious that someone as important as himself should die so young, he makes a deal with the angel sent to retrieve him – a second chance to make things right. The only string attached? He’s coming back as a dog. An old, smelly, not-very-attractive dog to be exact. 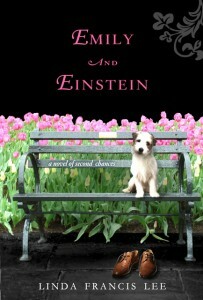 Emily and Einstein by Linda Francis Lee is a charming story with both laughs and heartbreak. 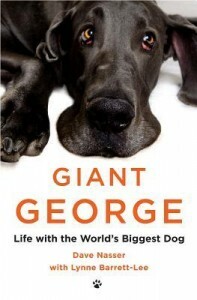 Now known as Einstein (and as a dog) Sandy struggles to come to terms with who he was as a man. Emily learns to become her own person, not defined by her Mother or sister or husband and to move on with her life. Einstein is very funny and sarcastic (he calls the angel that’s assigned to him “old man”) and Emily’s struggles are realistic. Some might label this as “chick lit”, but the issues are deeper and have more resonance than merely “getting the guy”. This is a love story on several levels, and also a story of forgiveness both of the people in your life and of yourself. You’ll cheer for both Emily and Einstein, because everyone deserves a second chance.